Indoor air quality (IAQ) is a primary factor in the health of your employees, leading to downtime. Speaking of the bottom line, did you know 25-40% of the energy used for heating or cooling is wasted according to the US Dept of Energy because air pollutants require an HVAC system to work harder to heat and cool a facility. Is the forced air / HVAC systems in your commercial properties harboring and incubating contaminants that could cause serious problems for staff with respiratory health conditions, cause respiratory issues, autoimmune disorders and environmental allergies? 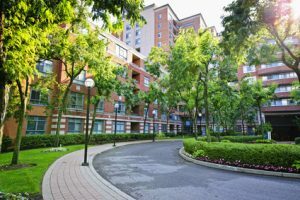 Don’t wait for your staff to start inquiring with HR and the Health and Safety committee, or Canada Health, book a Stouffville Duct Cleaning and Sanitizing Company today. Did you know the maintenance schedule is 1 year for the HVAC / Air handling units, supply ductwork and Return ductwork/exhaust for Industrial, Commercial and Healthcare Buildings? Have a funky odour that doesn’t seem to be remedied by regular office cleaners? Are there mystery stains in the carpet? Servicing the carpet is pennies on the dollar compared to ripping up and reinstalling new flooring. Consider having the workplace carpet professionally cleaned, and the air deodorized such as with our VaporTek Air and Benefect Treatment Technologies. 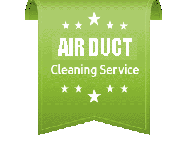 Add a Stouffville Duct Cleaning Company to your annual commercial maintenance schedule as well. Do you have multiple workplace facilities, franchises, medical buildings, rental homes or offices? Canaduct’s broad range of coverage area provides a huge duct cleaning service area in Southern Ontario including the Greater Toronto Area. No need to hassle with multiple companies, technicians and locations. One call will solve it all. Call us if your building isn’t listed above, we can make arrangements for your properties.